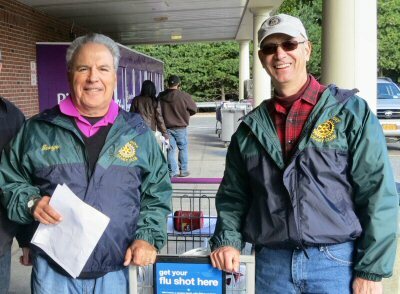 On Sunday, October 18, 2015, the Rotary Club of Rocky Point held its annual Stuff a Truck Food Drive at the Stop & Shop in Miller Place. Club member Deirdre Dubato organized the drive. 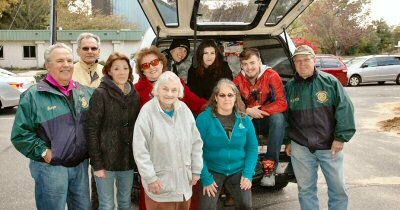 Club members, family, and friends of Rotary supported the effort by manning the collection area outside the supermarket. The generosity of people was unbelievable. All of the items collected were donated to the Food Pantry Ministry at Trinity Evangelical Lutheran Church ("The Fish Church") in Rocky Point immediately following the food drive.